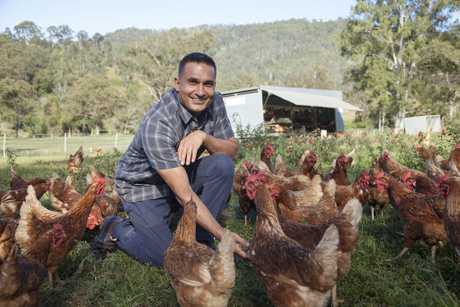 AFTER exploring his own backyard in season one of Coastal Kitchen, Peter Kurutiva is heading west - all the way west. 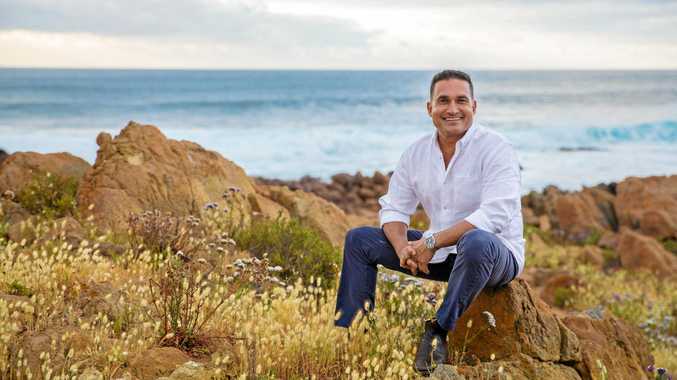 The Noosa-based chef, author and TV presenter samples the best the Margaret River region of Western Australia has to offer in season two of his food travel series. Across six episodes, the Sri Lankan native meets local producers growing and raising everything from olives to cheese, apples, beef and, of course, wine. "We found this triangle that contained everything we could wish for," he tells The Guide. "I fly to Fiji regularly and it only takes three and a half hours. It takes five hours to get to Perth and then you have to drive south. It feels like a different country over there sometimes. "Once we were there the travel was relatively easy and the scenery was just spectacular. 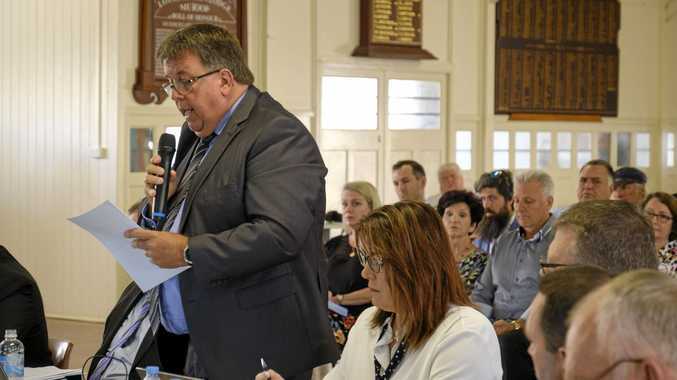 I'm glad this show is coming out now so it can put Margaret River into people's minds again." But there's much more to the wine-growing region than first meets the eye. Kuruvita also uncovers a new type of apple, a wealth of bush tucker and an award-winning gin. "There are not many places left in Australia where you can wander along the rocks and pull three or four abalone out of the water without getting your feet wet," he says. "As you'll see in the indigenous episode, the care for land and country is incredible. "All the people in Margaret River had that same approach to life and produce, and it had the same feeling as season one of Coastal Kitchen in Noosa. Margaret River has a bit more history and a lot more wine, but when you add to those the seafood they're very similar. It's like an older sister to Noosa." The chef got his hands dirty foraging food for his dishes. After meeting the producers and getting his hands dirty, Kuruvita returns to the kitchen to create a dish inspired by his travels. "I never really plan any of the recipes ahead of time. I try to be inspired by the ingredients," he says. "As you talk to people you get so inspired by them and what they grow and what inspires them. It's like Noosa; it's pretty hard not to be able to come up with a menu because there are so many ingredients." His over-arching goal with the series is to get viewers cooking. "I wanted it to be really approachable," he says. 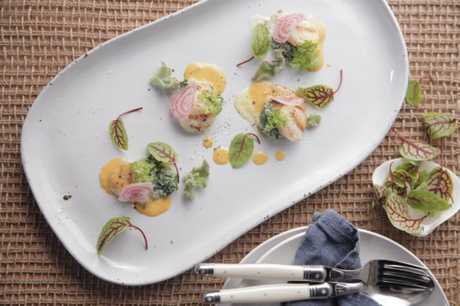 "Even with the plating and presentation, I didn't want to go full MasterChef so people would look at it and go 'I won't have the time or expertise to do it'. "I want people at home to go on to the SBS website and get the recipe. I don't want you to think you can make it; I want you to know you can make it... and then I hope you can improve on what I've done." 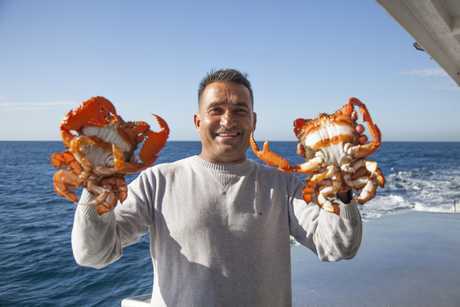 Season two of Peter Kuruvita's Coastal Kitchen premieres tomorrow at 8pm on SBS-TV.